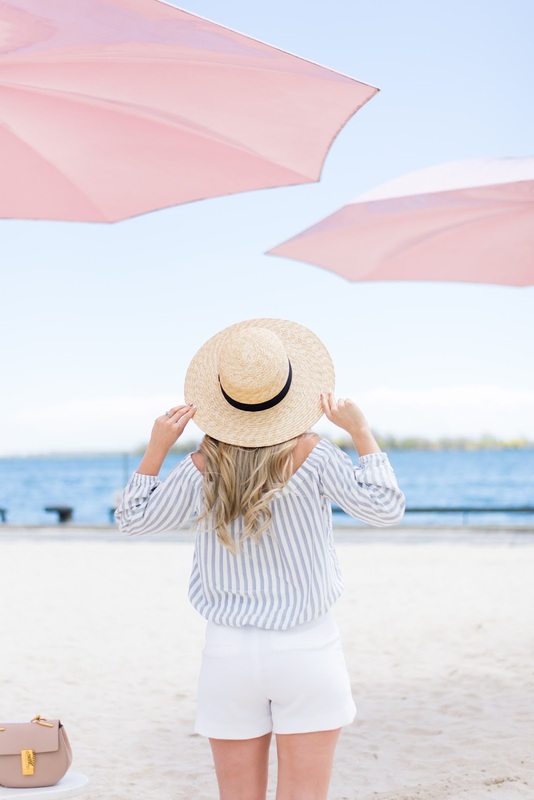 OOTD - Take Me To The Beach | La Petite Noob | A Toronto-Based Fashion and Lifestyle Blog. The sun has graced us with her lovely presence in Toronto and, as typical Canadians, the city has responded by shedding all of our layers and getting outside. This weekend was absolutely beautiful, and it's so incredible to see the city come alive. Myself, I chose to hang out at the beach. This whole outfit from Dynamite just screams summer to me. I love the 'Hamptons' vibe that it gives off, and I'm pleasantly surprised by how flattering the whole ensemble is; I usually hate shorts, but these ones have a conservative cut and really help to elongate the leg. 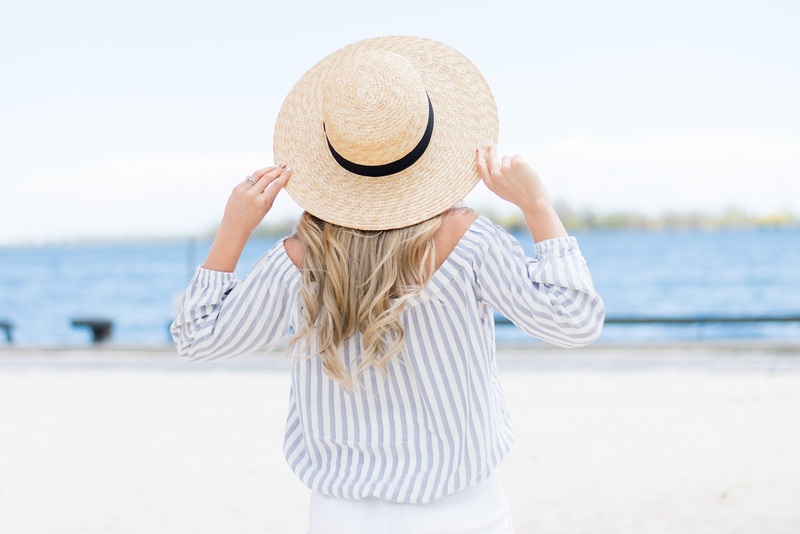 I'm also so into this blue-and-white striped top and have big plans to wear it all summer long wth midi skirts, culottes and high-waisted jeans at night. What do you guys think? Are you as anxious as I am to dress for the summer at the first sight of warm weather? What are your thoughts on shorts? Let me know! Love this outfit! Finally, summer is here! Very nice pictures by the sea! Thanks Kristin! You will be back in your Dynamite in no time! OMG YES! So many beach trips!